Whisk syrup, olive oil, sugar, cinnamon, vanilla and 1 teaspoon salt in a large bowl. Add oats, nuts, seeds, coconut, and mix until well combined. Line 2 sheet pans with parchment paper. 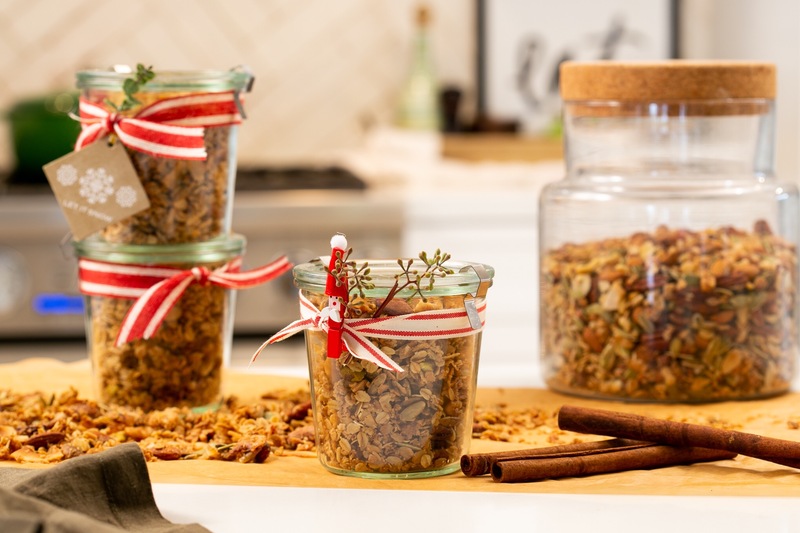 Spread granola mixture in an even layer on each pan, let stand 15 minutes. Transfer to oven, bake, stirring every 10 to 15 minutes, until granola is toasted, about 30-45 minutes. 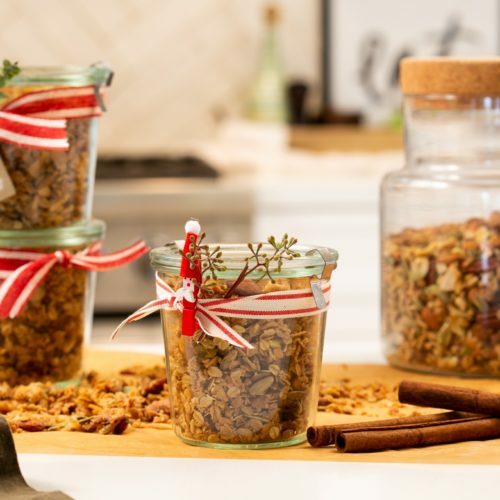 Remove granola from oven and season with more salt to taste. Let cool completely before adding fruit (if using), serving or storing in an airtight container for up to 1 month.